MEDIA ALERT: Hip Hop Artist Dunson Headlines 8x10 in Baltimore! Hip Hop Artist Dunson Headlines The 8x10 in Baltimore! Details: Maryland's own Dunson will be headlining the 8x10 in Baltimore, MD! You may be familiar with his story; graduated from college, went to Wall Street and then decided to follow his dreams and pursue music full time three years ago. Dunson is happy to admit that leap of faith is paying off! He is currently still promoting his latest project "The Investment" which has produced such singles as "Count On It", "Spotlight Love" and the most recent "Don't Disturb" which features emcee Mickey Factz. Dunson has been seen in XXL Magazine, XPOZ Magazine and seen on 2 Dope Boyz, Okay Player, Hip Hop Update, Free OnSmash, DJ Booth + more! 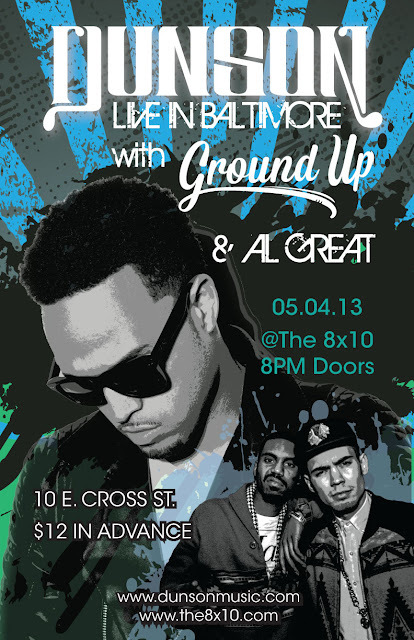 This show is sure to be a crowd favorite of the year with Ground Up & Al Great performing LIVE as well. 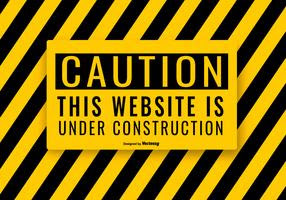 For more information on Dunson, please visit www.dunsonmusic.com and follow him on Twitter and Instagram @KentonDunson. 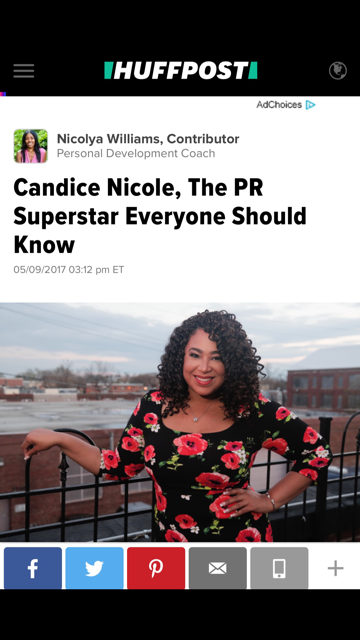 If interested in interviewing Dunson, please send in your request to candice@candicenicolepr.com byFriday, May 3rd 7 PM.